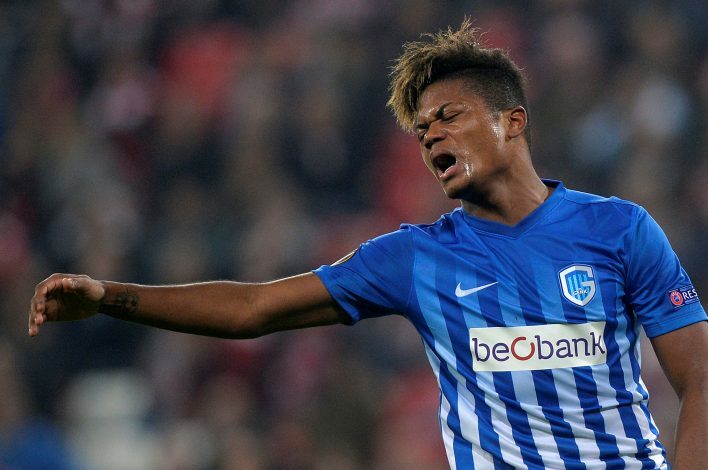 Genk technical director Dimitri de Conde has informed suitors that a transfer for their exciting youngster Leon Bailey would cost between £17-21 million, reports Daily Mirror. The 19-year-old winger has been maintaining a huge rise to stardom in Belgian football over the past few months, with both Manchester United and Leicester City believed to be among his biggest suitors. Although Genk would ideally prefer not to let their star player leave, De Conde has admitted that the club will not turn down a big money offer if it comes along. “If mega bids, by Belgian standards, are made, then we cannot reject it, and if the boys also feel ready for a step up then it will be very difficult to keep them in Genk. I must be ready with alternatives,” he explained. United have plenty of options in attacking midfield right now, but may be tempted to make some changes after a slow start to the season. Bailey has been phenomenal for Peter Maes’ team this season, especially in the Europa League, where three goals in the qualifiers and four more in the group stage has pushed him upward to be named in the team of the tournament so far. Moreover, the Jamaica international has provided nine assists for his teammates operating from his preferable position out in the wide areas of the attack. The teenager is already well travelled, having played in Jamaica, Austria, Slovakia, and Belgium, so a switch to the top flight of English football would be unlikely to give him any fears.